Mumbai is not only the city which never sleeps, but also one which wakes up to smell the coffee. With malleable perkiness I brace myself for a day of indulgences after a night of 2 a.m. shenanigans and stop by the British Brewing Company. When you probe deeper into the realms of ‘good drinker habits’, you will find that it’s the easiest way to get over a hangover. At BBC, I am greeted with window panes stretching from floor to ceiling in a rustic, wood worn setting. The familiar buzz of an active bar and kitchen entices me to take a seat. 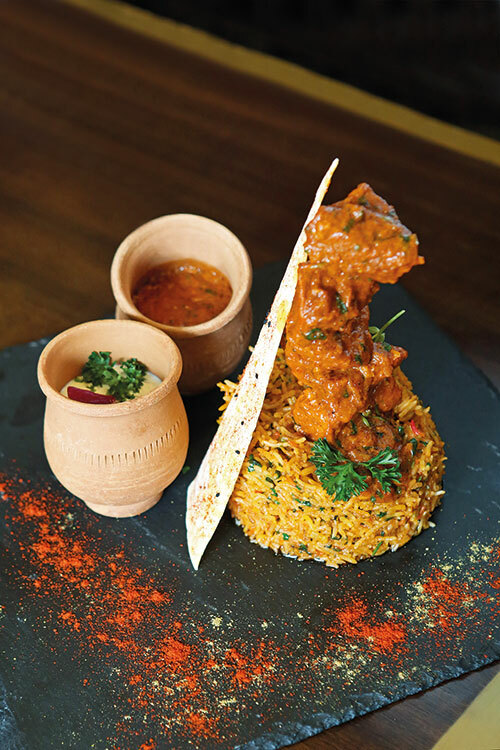 While the space is an instant wake-me-up, the digitalised menus help make choices from local craft beers on tap, a selection of Indian and imported specials to a wide array of accompanying dishes to pick from. I pick the doppelgänger from India’s first craft brewers, the Gateway Brewery, which draws inspiration from the classic German dunkelweizen having potent spice and fruit notes with a malty flavour. It comes close to its cousin the White Zen making for a perfect pairing with the restaurant’s proper fish and chips and my meal for the day — the Nasty BBC Burger (double chicken and lamb patty, fried egg, bacon), a massive sandwich enough to feed three people. 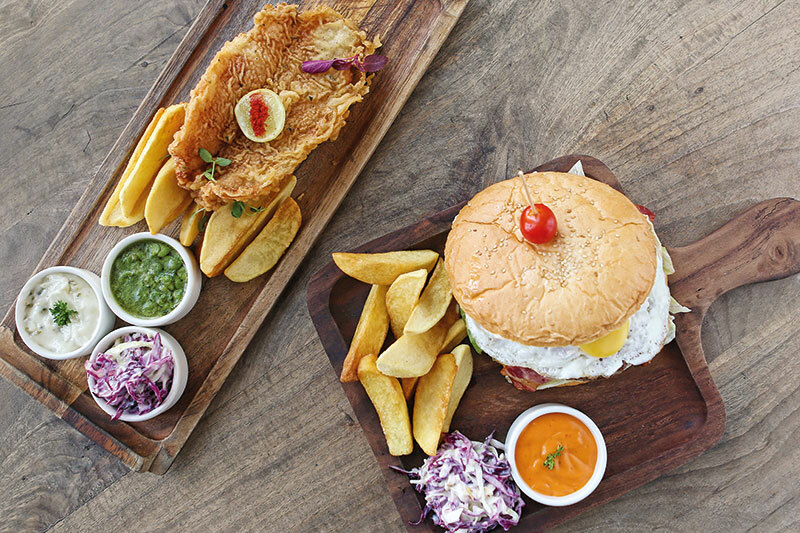 Keeping the ethos of a quintessential gastropub intact, the pub has fine-tuned its menu to appease its local draw. 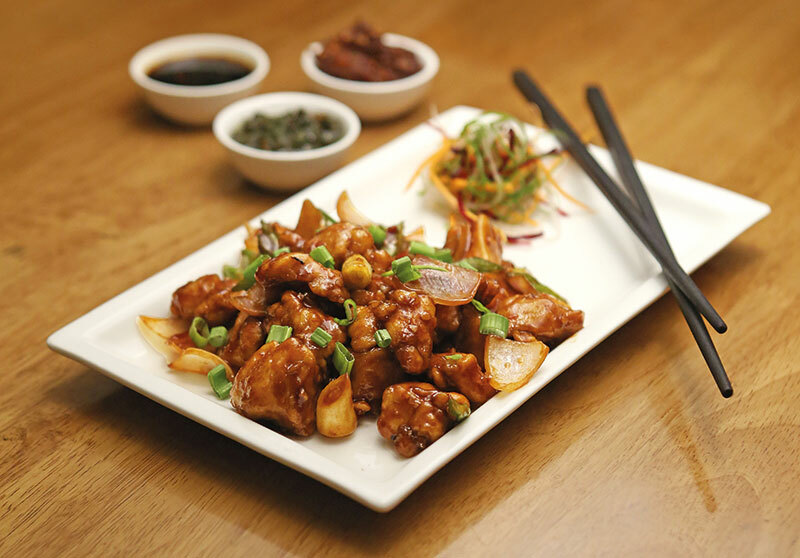 From Indian and Indo-Chinese comfort foods which one can expect at a classic local dive-bar to some internationally popular bar eats us Indians would love to find at a drinking session on a night-out in a foreign country, it is all on the (iPad!) cards. Happy in the tummy with renewed energy after the breakfast extravaganza and a long walk window shopping, I step into the mall’s Asian cuisine hotspot — Asia Kitchen by Mainland China. A pulsating din arises from excited diners as they spoon soy over their dim sums and the clatter of pots and pans from the show kitchen matches the vibrant ambience. The jade interiors with pictures of Asian families enjoying delicacies from their homeland add to the surrealism. I want to go light, so start with a refreshing cocktail called Asian Mist (house-infused cinnamon vodka, apple and basil) with sushi and dim sums. The crispy asparagus tempura rolls are a delight for the palate with a penchant for Japanese and the California rolls sit right with seafood and avocados. While the Japanese shifts more towards western interpretations the dim sums have all the right trappings from basil chicken to prawn hargao. I love the crackling spinach, which is sweet, salty and packed with umami (it comes in a cocktail glass spiked with sesame seeds) and the dynamite shrimps (with a sweet and spicy coating on crispy batter fried shrimp) well-known in Hong Kong. 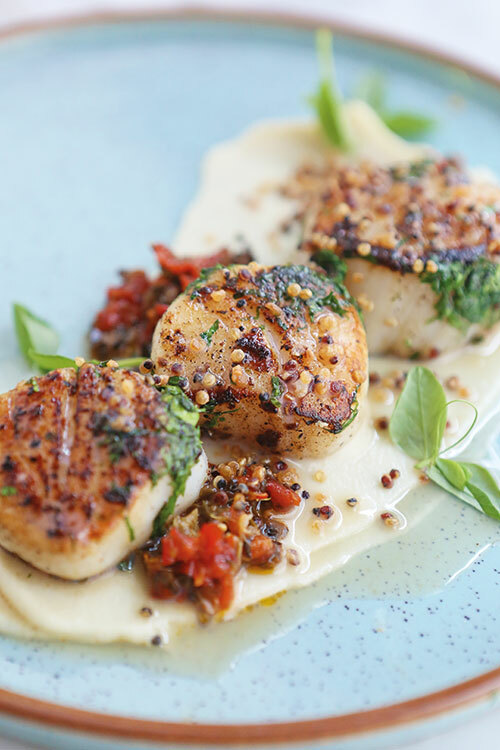 If one wants to make a meal of it, old school favourites can be found on the menu. Roast Lamb in a sauce of your choice (Mahlak, Black Pepper or Hot Garlic) along with lemongrass fried rice is a valid choice. Or you can settle for the Tamari Glazed Fish from the Japanese kitchen and the tongue numbing Sichuan peppercorn and Red chili tossed Soft Shell Crab. As I make my way through Palladium’s luxe shell and step out in the hot afternoon to soak in some sun and refresh my window shopping liaisons with actual exchange of money for materialism. By mid-afternoon, retail therapy has left me famished. I step into the cool climes of Farzi Café’s newest branch, across from H&M and realise how far it has come from when it debuted in Gurgaon in 2014. I walk over to a table by the service window. Sous chef Kunal Patkar who runs the kitchen is more than eager to have someone sit right under his nose and indulge in a one-on-one. I would have expected some heavy north Indian appetiser to be served up but a boat-shaped, massive dish arrives and it’s a Rajasthani pyaaz kachori stuffed with asparagus and accompanied with a light as air, aloo rassa foam. 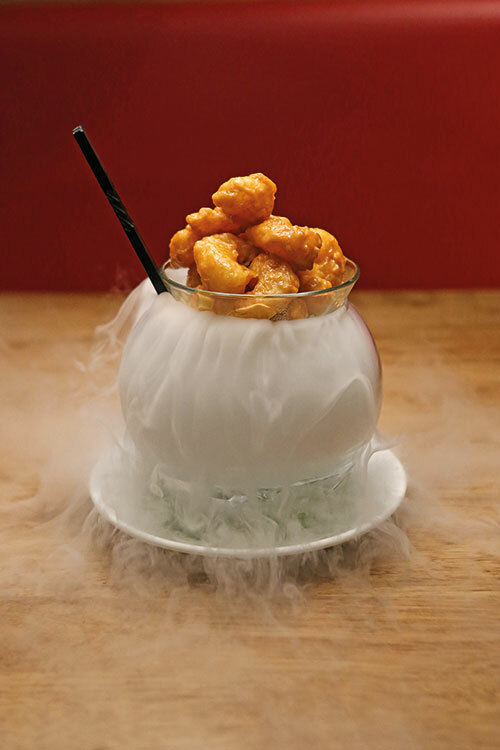 One of the pioneering restaurants to introduce a hint of molecular to mainstream dining, Farzi Café thrills its diners with much drama in their food. With every chef worth his nitrogen gun, eluding the presumption of being an original creation, Farzi’s team keeps it real with seriously smart innovations in their traditional Indian food offerings — from small plates such as the succulent Delhi’s favourite Gupta burger, all the way from Zorawar’s home city, the Asian twist to prawns which are tempura fried and served with a zesty nimboo mirch foam to roasts and grills which have quirky dishes such as the ink-black, black sesame chicken tikka with sesame ash and the shawarma biryani which comes with well marinated meat skewered atop a toothsome biryani and chilled raita. No North Indian hospitality is complete without some meetha to end the meal. 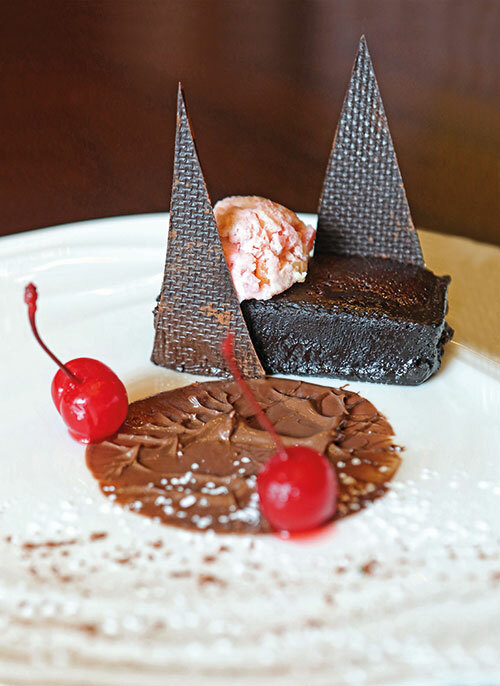 Again a surprise when I spot a rich, flourless chocolate bar which comes with a childhood favourite ingredient — tutty-fruity bits in the ice-cream scoop, perched on this sinful dessert. It is a fitting conclusion to a sensory forward meal. I step into the Runway Project which is situated in the North Skyzone of High Street Phoenix and for a moment feel I am walking into a storefront. The facade is a window showcase with a hot red dress hanging off the ceiling and an almost missable reception desk. The bar is its most impressive feature — with speakeasy style (super comfortable) tall bar stools, metal reading lamps lining the bar top and a ‘spirit wall’ which has mirrored shelves lined with every possible spirit available in India. 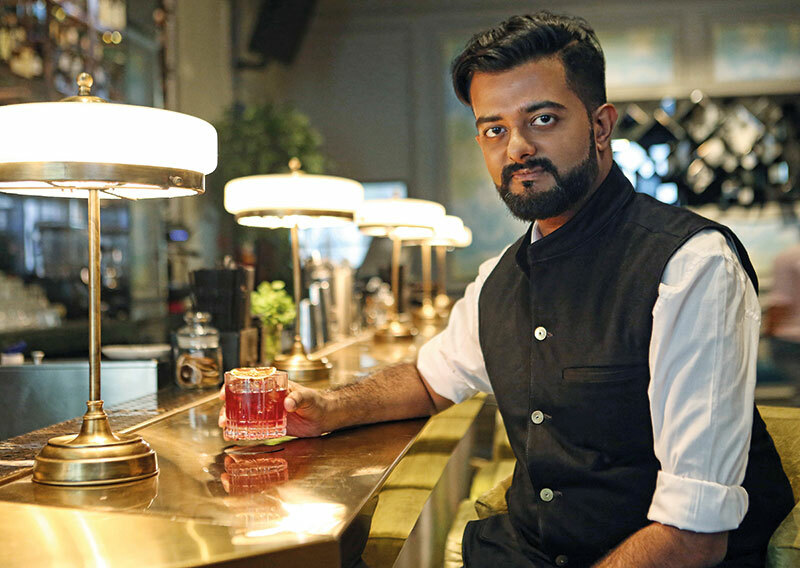 Their mixologists, trained by their beverage head Varun Sudhakar, will figure out a fix for you by starting a conversation. The bar experience elevates itself to international levels with curated cocktails such as their Showstopper (one of the finest takes on a classic Negroni with coffee-infused tequila replacing the gin, dehydrated orange slice dipped in pure coffee powder). You can find every kind of spirit from specially sourced gins, single malts, wines and even the Japanese favourite — umeshu. I am a couple of drinks down including a jigger of Bathtub gin and a cocktail called Graffiti (house-infused blue pea flower, tonic, lime), when I am guided by chef Jerry Thomas who, along with chef Vicky Ratnani, has conspired to develop a menu with stunning European flair. Chef urges me to try some signature creations to end the evening. A light dish called the Flower Arrangement (broccoli flowers, roasted shallot petals, charred leaves, pickled baby carrots, Sicilian almonds and feta) is an appetite trigger, followed by piquant and juicy scallops and mash (seared Atlantic scallops, cauliflower truffle mash, capers and olive relish). 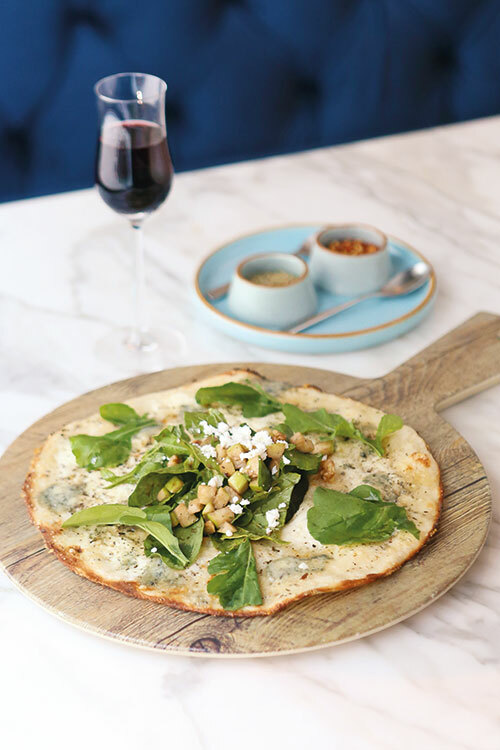 If that was not enough, their signature pizza Bianco (alfredo sauce, truffle oil and blue cheese) along with a glass of Port wine, seals the deal.